The deadliest mass shooting in U.S. history was shocking in its scale — but it wasn't a surprise that it was committed by a white male. The average age of the shooters was 35, however, making the perpetrator in Las Vegas, 64-year-old Stephen Paddock, somewhat of an outlier. 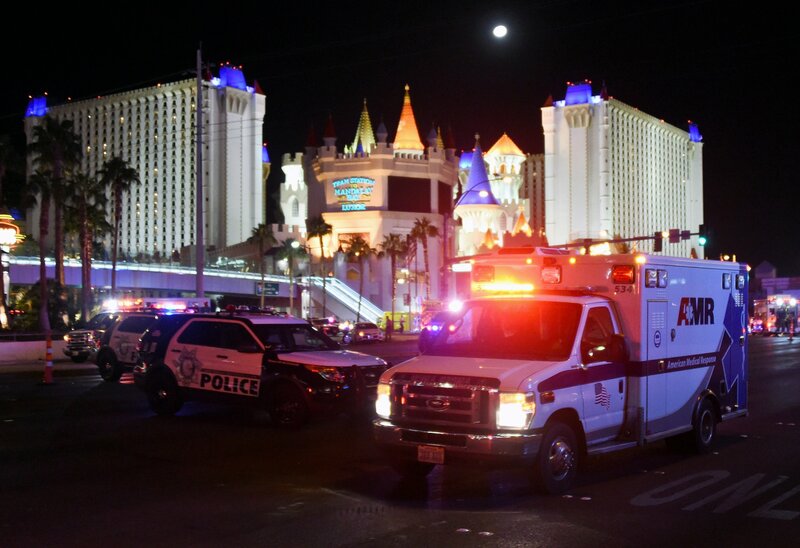 It is too early to say if mental illness played a role in Paddock's case, but it has in a number of mass shootings, though it is perhaps too frequently pointed to as the primary cause. “There’s a feeling of entitlement that white men have that black men don’t," criminologist James Alan Fox told The Washington Post in 2012. "They often complain that their job was taken by blacks or Mexicans or Jews. They feel that a well-paid job is their birthright. It’s a blow to their psyche when they lose that. . . . If you’re a member of a group that hasn’t historically experienced unemployment, there’s a far greater stigma to [losing a job] than those who have." But others say it's hard to point to any single factor in terms of why white men have comitted most mass shootings. "There are pieces of the puzzle, and you put them all on the jigsaw board, and you're still going to have a big hole there. What I do know is that violent behavior — whether it's serious violence or minor violence in populations — is never just one thing. It's not a one thing problem. It's going to be an accumulation of things, kind of a whole cocktail of factors," Jeffrey Swanson, professor in psychiatry and behavioral sciences at Duke University, told CNN after the Charleston shooting.